George Lucas achieves his first mainstream, global success, with a most unlikely small movie. American Graffiti is a slice of teen-age Americana circa 1962: the small-town culture of cars, girls, and the search for the meaning of life. It's the last night in Modesto, California for a group of high school graduates. In the morning, Steve (Ron Howard) and Curt (Richard Dreyfus) are scheduled to leave for the greener pastures of a big-city college. The night starts with Curt having second thoughts about leaving; but Steve is sure that he wants out of small-time life, although this means leaving behind his girlfriend Laurie (Cindy Williams), his car, and his other friend Terry "The Toad" (Charles Martin Smith). Also being left behind is the town's legendary street-car racing champion John (Paul Le Mat). Over the course of one night that takes place in and around Mel's Drive-In and the surrounding streets, Steve and Laurie fight and make up more than once, arguing about the future of their relationship. While cruising, Curt catches repeated glimpses of a beautiful blond in a white Thunderbird; he does not know who she is, but she captivates him. Curt also finds himself entangled with three members of a local street gang, the Pharaohs. The nerd Terry gets the use of Steve's car and soon picks up his antithesis, the blond bombshell Debbie (Candy Clark). The mismatched Terry and Debbie share numerous misadventures through the night, while the tough and ultra-cool John finds himself with his own version of a polar opposite: Carol (Mackenzie Phillips), barely a teenager, jumps into John's roadster and refuses to leave. John's destiny is to end the night with another street race against his latest rival, the persistent Bob Falfa (Harrison Ford). Morning finally comes with slightly revised destinies for Steve, Curt, Terry and John. The adventures of the teenagers in American Graffiti play out against the backdrop of a nostalgic, non-stop soundtrack of classic rock 'n' roll music from the late 1950s and early 1960s. Wolfman Jack is the legendary DJ playing the tunes,and he makes a surprising appearance during Curt's long night. With producer Francis Ford Copolla's helpful inspiration, George Lucas keeps American Graffiti humming to the music, and conveys a wonderful small-town feel, with great use of streets and cars filled with personality. He is aided by one of the best young cast of relative unknowns to ever grace a movie. American Graffiti was the breakout role for Richard Dreyfus, and he establishes his screen persona perfectly as the smart but slightly overwhelmed Curt, rolling along with the events that come his way but keeping his eye on the big picture. Ron Howard also established his pleasant, falsely over-confident screen personality in American Graffiti, and went on to perfect it for years on television's Happy Days, the adaptation of the movie for the small screen, before turning into one of Hollywood's top directors. Harrison Ford would re-emerge in a much more prominent role in a future Lucas film. While Paul Le Mat and Charles Martin Smith did enjoy some film roles after American Graffiti, they both deserved better careers. Both add immeasurably to the depth of the film, Le Mat infusing the tough John with self-doubt and Smith nailing the nerd desperately, but joyfully, out of his depth for one night. 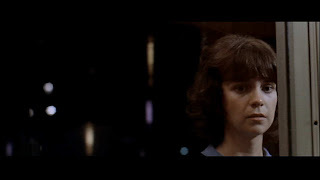 Cindy Williams also deserved much better than simply being known as Shirley from TV's Laverne and Shirley. Particularly in the early scenes of American Graffiti, Williams shines as Steve's girlfriend, walking a tightrope between love and defiance in the face of impending separation. American Graffiti is a film about nothing and everything. Sometimes, driving around in circles is exactly the route needed to figure out the future. Great soundtrack, but I was put off by how old some of those supposed teens are. Bo Hopkins, as a gang leader, was in his early thirties when this film was made. I'm a long-time fan of Charles Martin Smith. How he reacts to Candy Clark's remembrances of a murder is well done.